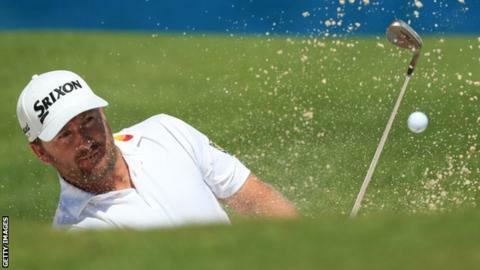 Northern Ireland's Graeme McDowell brought a four-year wait for a win to an end with victory in the Corales Puntacana Resort and Club Championship. The former US Open champion shot a final-round 69 to finish 18 under and clinch a one-shot win in the PGA tour event in the Dominican Republic. Canada's Mackenzie Hughes and American Chris Stroud tied for second. McDowell, 39, is 257th in the world rankings, with the win earning him a two-year PGA Tour exemption. The Portrush player, who started the final round with a one-stroke lead, fell behind Stroud, but it all changed on the 17th. McDowell birdied the hole while playing partner Stroud dropped a shot, moving the former European Ryder Cup player back into a one-shot lead. Both players bogeyed the final hole to leave McDowell as champion, while Ireland's Paul Dunne finished joint 12th on 12 under. The event was contested by players who did not qualify for this week's WGC Match Play event in Texas. McDowell was already guaranteed entry into this year's US Open at Pebble Beach, where he won in 2010, but has yet to earn a spot in The Open at his home club of Royal Portrush.